A subtle design with serious impact, the Mini Orbit Pendant from Porta Romana will make the perfect accent light in a bedroom or living space. With it’s contemporary design, the classic pendant is suspended from a fabric flex that can be adjusted according to the ceiling height and overall look. 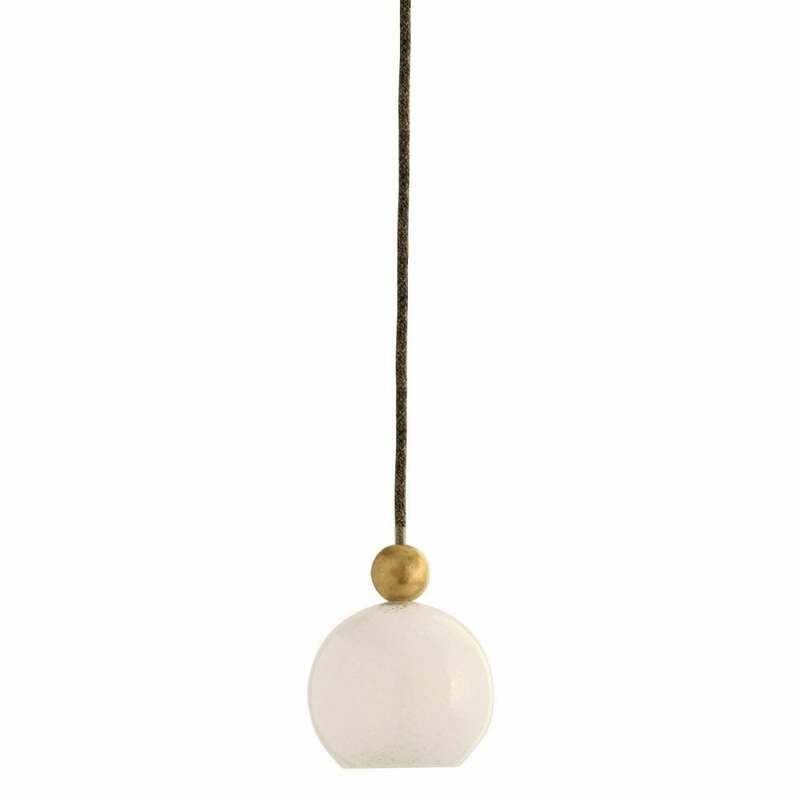 Featuring a beautiful, mould-blown milk glass sphere, the mini pendant is topped by a solid brass ball with a smart matte finish. Use to illuminate a reading nook or hang in a group of three over a bedside table. This little light give will give any space a soft, diffused glow. Available in Milk Glass with Black Braided Fabric Flex or Milk Glass with Light Grey Braided Fabric Flex. Make an enquiry for more information.